If you are unable to find your company quoted on the New Zealand Stock Exchange any longer, it may be suspended from quotation*. *Suspension should be distinguished from a trading halt which is usually very temporary. You can check its current status on our website by entering the company’s name or code in the SEARCH facilities above or clicking on the adjacent box to retrieve a list of suspended companies. While your company may be suspended from quotation, it is not necessarily because it has failed. Often a company is late in releasing its financial reports or it is in the process of being acquired by another entity. Some companies suspended because of insolvency, do regain quotation, but many fall by the wayside. 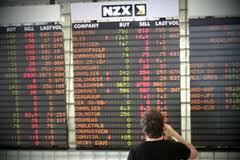 They are eventually delisted from NZX, liquidated and struck off the company register. You can check developments with individual suspended companies on this website by using the SEARCH facilities above. Why is my company suspended? 1)	If it decides to do so*. 2)	If it is an overseas entity suspended on its home exchange. 3)	If the entity fails to issue financial reports on time. 4)	Generally 5 business days after it receives an Acquisition Notice. *NZX can suspend a company without giving a reason or if a “false market” exists in the securities or the entity contravenes a listing rule or size and spread requirements are not being met, or there is a change in the controlling interest or cessation or a big change in the entity’s activities. NZ Listing Rules - click here and see Paragraph 5.4 for further details. deListed and Investogain are largely the result of voluntary effort. We welcome input and updates from investors, company officers, insolvency practitioners, regulatory bodies, registries and others to help@investogain.com.au. By assisting us, you will also participate in our Book of the Month draw.